Why can’t I stream Muppet Babies? Why Can’t I Stream Muppet Babies?! Photo illustration by Slate. 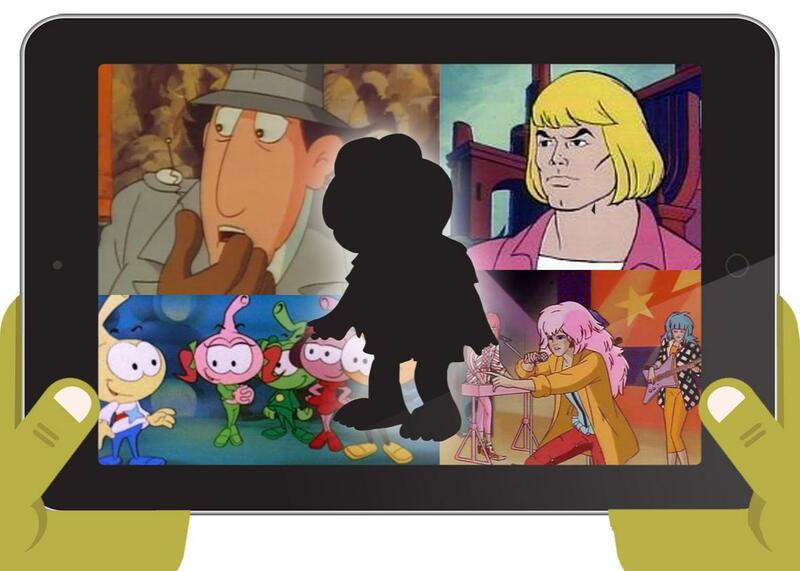 Images by Thinkstock and DIC Entertainment, Marvel Productions, Mattel, and Hanna-Barbera. Where did Optimus Prime’s trailer go when he transformed? Would Rio ever learn that Jem was really Jerrica Benton in disguise? Animation in the ’80s produced countless unsolved mysteries, but for those of us who grew up watching Saturday morning cartoons, one of the biggest is: Why can’t I watch Muppet Babies anywhere? Despite the continued popularity of Jim Henson’s Muppets (now owned by Disney), this witty animated series, which ran on CBS for eight seasons, is nowhere to be found on streaming networks. It’s never had a comprehensive release on VHS or DVD. If you want to watch baby Piggy, tiny Kermit, or mini-piano-playing Rowlf, you’re stuck seeking out grainy, unrestored video transfers that are sporadically available on YouTube (and are often quickly discovered and quietly removed by Disney). Muppet Babies was born in 1984, when Henson, preparing for the summer release of The Muppets Take Manhattan, saw potential in a scene in the movie in which Miss Piggy imagined how the Muppets’ lives would have been different if they’d known each other as babies. That musical sequence, featuring Jeff Moss’ catchy original song “I’m Gonna Always Love You,” led Henson to meet with nearly every major studio in California while exploring the potential for a Muppet Babies animated series. He ultimately chose to work with Marvel Productions, a Hollywood offshoot of the comic book publisher, after a fruitful meeting with Hank Saroyan, their vice president of network development. Marvel was fresh from its success with the CBS animated series Dungeons & Dragons, and Henson was impressed by the company’s ability to adapt challenging source material. Production commenced with Jeffrey Scott as head writer and Saroyan and Bob Richardson as showrunners. In one instance, Saroyan and Henson made a 3:30 a.m. phone call to Lucas in his Hong Kong hotel room to request the use of Star Wars footage. “We had a film print within 48 hours,” laughed Saroyan. The Walt Disney Company has made no official statement on the status of the Muppet Babies home video prospects, and did not comment for this post. The Muppet Babies animators, voice actors, and executives I interviewed for my book Totally Awesome: The Greatest Cartoons of the Eighties didn’t reach any sort of consensus on this issue, either. One suggested that a slew of legal documents were lost when the Muppets were sold to Disney. Another speculated that the live-action film elements were discarded so that the studio could avoid paying for archival storage. Scott hinted that he’d heard from a Disney executive that the company was waiting to re-establish the live-action Muppets before reintroducing the Babies. Now that Disney has released two Muppets film and a television series, and the Muppet Babies are set to return to television early next year on a CGI-animated series on Disney Junior, perhaps the original Babies will soon reappear as well. If there are outstanding legal entanglements in the live-action footage, perhaps Disney’s acquisition of 20th Century Fox will help to eliminate them. Muppet Babies was a critical and commercial success, racking up more than a dozen Emmy nominations and finishing at or near the top of the Saturday morning Nielsen ratings for most of its network run. But as the series’ 35th anniversary approaches, it seems no closer to emerging from the Disney vault than it did in 2004 when Disney acquired the Muppets. And that’s a shame. Muppet Babies was one of the most consistently funny, entertaining cartoons of its era. It’s sad enough that my preschooler is growing up in a world without Saturday morning cartoons. He and I will be watching the new series from day one, but I hope that we’ll also be able to sit down and watch the original Muppet Babies on our TV together while he’s still (roughly) the age of the Muppets onscreen.